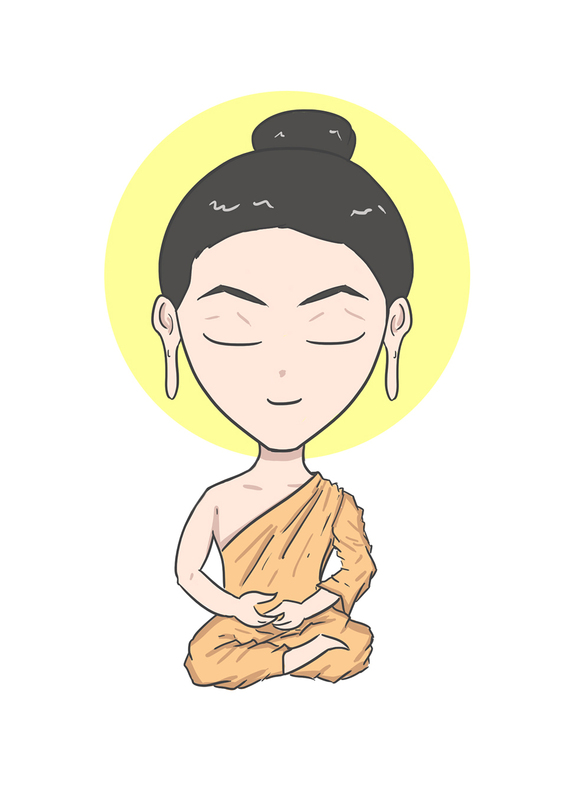 Siddhartha Gautama was born a prince to a loving family. The kingdom was prosperous and the boy grew up with every need or want answered without question. As a young man he married a beautiful woman and they soon had a healthy baby. His life looked like perfection and yet he walked away from it in search of Enlightenment. This search led Gautama to a group of ascetics. They taught him to fast for long periods of time, to neglect his body, and to avoid society. He had intense focus, which led the ascetics to believe Gautama had attained his goal. He realized that extreme practices were not what he needed, so again he walked away. Siddhartha walked away from what didn’t work over and over. He did not give up his search and did not practice each new attempt with less devotion even after many disappointments. This detachment allowed him, when he finally found what he needed, to let go of all impediments. Living each day with detachment can be helpful in a spiritual practice. When something isn’t working, just walk away and try something else. There is no need for prejudice toward what didn’t work and no shame in having tried it. In the same way, when something does work it is no better than any other attempt, it’s simply what works at that moment. Most people don’t have a throne to walk away from, but everyone can focus on achieving their goals. Detachment can allow you to find joy in each task and see when it’s time to change just as Gautama did.